This ws help your pupils to tell about their friends. 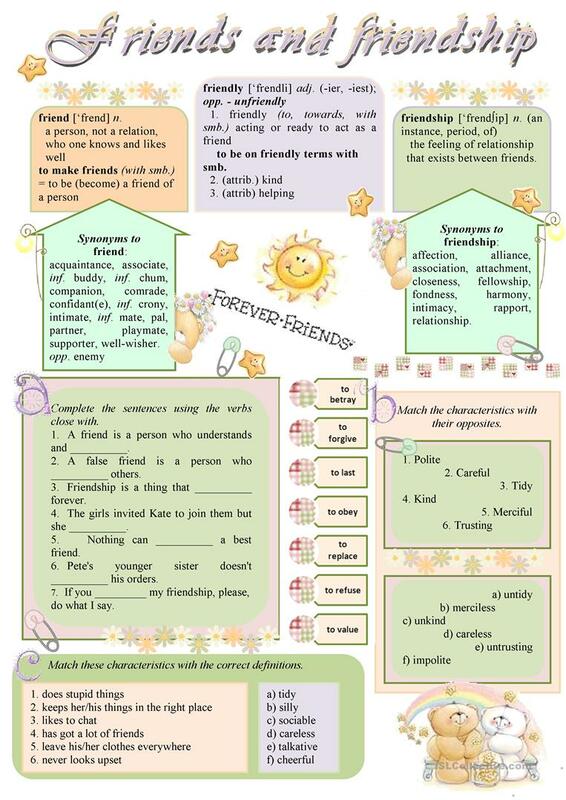 The present downloadable handout is best suited for high school students at Intermediate (B1) level. It is excellent for working on your learners' Speaking skills. smiya is from/lives in Belarus and has been a member of iSLCollective since 2010-03-03 20:42:04. smiya last logged in on 2019-04-20 17:44:50, and has shared 45 resources on iSLCollective so far.